When you have spent most of your life seeking the approval of others, living a life that you believe needs to be approved by others, or being a rule follower, it can be difficult to break out and be a free spirit. I have actually been giving this quite a bit of thought lately, and have come to the conclusion that in order to have the life I want I am going to have to break the ties that bind and become more of a free spirit. How do we become a free spirit? 1) Is there something you feel passionate about, but haven't had the courage to take action on? Being a free spirit means that you may have to bypass practicality and instead follow your dreams. That may sound scary at times, but in the end it can lead to true satisfaction and happiness. 2) Being a free spirit requires living in the moment. Instead of worrying about what others think of you or what is going to happen tomorrow take time to savor the moment you are in right now. Use all of your senses to enjoy where you are now. This is where meditation can help. 3) Embrace Humor. Have you ever noticed how freeing laughter is? We all get into uncomfortable situations, but free spirits may find themselves in more of those situations. Look for humor in even the stickiest of situations. Laughter and humor will lighten your load. 4) Just let go and trust yourself. Trust that you know yourself better than anyone else does. Trust that you know what is best for you. Trust in your own path. Do you consider yourself a free spirit or want to become more of one? If so, what are some of the things you are doing? P.S. You can find more of the Rewriting Life series here. I have been working on giving myself permission to just be me and enjoy life. Not live it for others. I am still a caretaker at heart but I know I have to take care of me first....of course doing it is another thing. Maybe being a caretaker is a form of being a free spirit for you, Linda if it is what you love doing. It is so important to enjoy life. Laura I loved this post, it reminds me that in order to be there for others, we have to be there for ourselves! You are absolutely right, Jen and as we get older I think we realize more and more that we need to be ourselves. I had to laugh when you said "rule follower" because I've always considered myself to be the "compliant child". At the same time, while I have not described myself as a "free spirit", my actions indicate otherwise. I'm always stretching myself to do things outside of my comfort zone, following my dreams, going out on a limb to stand up for what I believe in, living in the moment, laughing easily and a lot. But I believe that what helped me get to this place is my faith in a God that teaches me that I can do anything with His help and also gives me the courage to try without being afraid of what others may say. There is total freedom in this kind of faith and the "compliant child" part is just me trying to be like Jesus. It is not a burden, but helps me know what is best. Sorry if I got "too religious" about it but it's the only way I know to describe this kind of balance in my life. 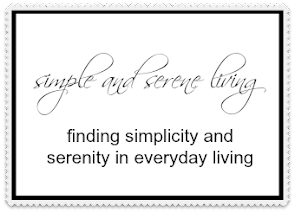 I think that we each find comfort in our beliefs, spiritualism, faith. I love that you are stretching and moving outside your normal comfort zone, Sandy. I AM a free spirit and I love it!!! I love the scripture that says, "If the Son therefore shall set you free, you shall be free indeed!" 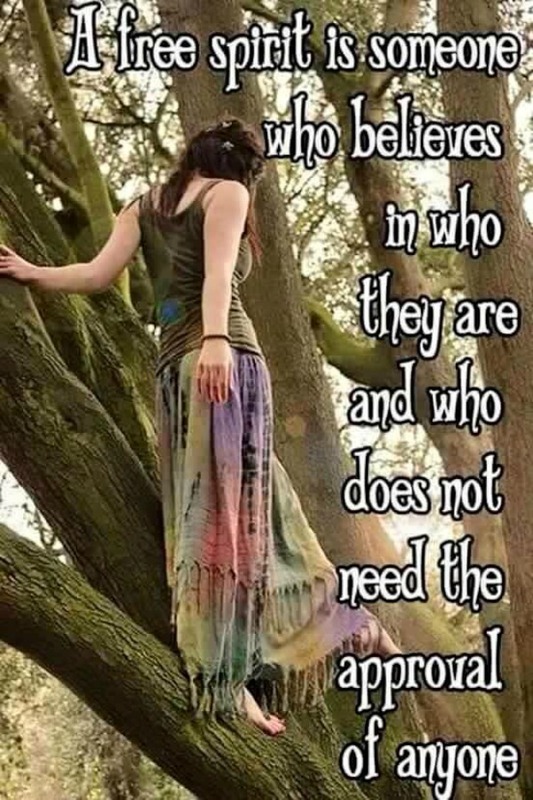 Free spirits do want to be free of negativity, Susan. I am very much like you in that I could never stand to be held down by a 9 to 5 job. Way too constricting for me. I am such a mix of wanting to please my family desperately and having such severe anguish if I feel I haven't. Then on the other side, I long to "run free," and be a bohemian at heart. Balance is the key for certain, I have great difficulty with that, so I usually play it safe and just dip my toe in the discovery of life. I'm more like Jemma. I have the urge to always please others. Yet in other ways I feel that I am a free spirit. Keep being that free spirit, Brenda. Life is too short to not let yourself be free. In spite of being a Capricorn, I'm a free spirit ;). There's always the 'push-pull' between what is practical and what is possible though. As for pleasing others, we all want to do that if we're honest, but the difference between free spirits and those that aren't are they're not willing to pay the sometimes heavy price that comes with always being a people pleaser. Lovely, thought provoking post Laura. (Sorry for not visiting lately. Trying to catch up!). I'm a Capricorn too, Doreen and yes I have definitely had to struggle with the practical side of me. There is definitely a heavy price that comes with being a people pleaser. I would much rather embrace the free spirit side. I don't consider myself a free spirit because I'm such a "planner". It's part of my personality. I like things in order and schedules. However, I do think having some qualities of a free spirit is beneficial because it helps you enjoy life more in general. I will probably never truly be a free spirit but I will try to have days when I can adopt some of those qualities. I don't really consider myself a free spirit but I have definitely changed over the years in 'trying to please others'. I try to be kind and considerate but I don't worry as much about what others think of my choices. Hugs! I saw that first quote when you pinned it on Pinterest and I love it!